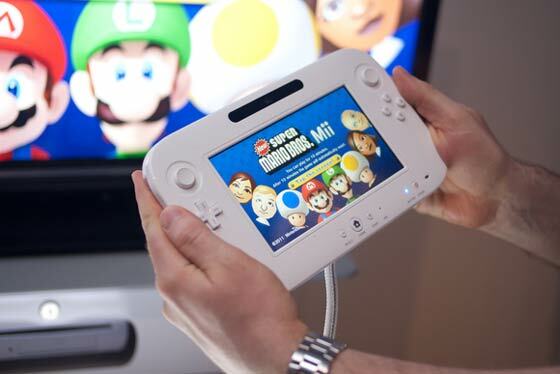 On Sunday Nintendo launched the Wii U in the USA. This is the first big console launch since the huge changes to the gaming environment brought about by smartphones and tablets. The console is reportedly already sold out and also there are reports of the first technical teething problems with Nintendo’s new baby. 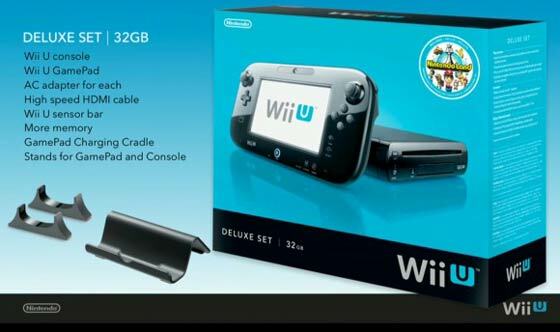 The Wii U console was released in two versions yesterday; the white 8GB basic bundle at $300 and the black 32GB premium bundle at $350. Reports from Forbes magazine say that the console is already sold out, even though Nintendo promised to avoid the early supply issues of the previous Wii. Forbes wonders how many purchasers queued up outside the stores to get their hands on a new Wii U to put it straight onto eBay. Apparently there are thousands of Wii U consoles now on eBay selling for over $500. When you first get your Wii U home and plugged in many features of the Wii U currently require a firmware update to work. The firmware update will, among other things, enable the Miiverse, eShop, Internet browser and backwards compatibility, explains an article on VG247. Users have reported a lot of problems and general displeasure with the firmware update. It’s a 1GB download which can easily take an hour to download to your Wii U and then reportedly takes a further half an hour to install. There are some reports of users “bricking” their new consoles unplugging or resetting their new consoles too early when the update isn’t finished. Onboard memory seems a little low on the 8GB version of the console, for instance Nintendo Land is too big to be downloaded from the eShop and installed. For that and possibly other titles you’ll have to buy the game media somewhere. The 32GB version of the Wii U has only 25GB free after the firmware update (7GB used up), so it’s not surprising the 8GB version is struggling! Looking through the Metacritic site the highest rated games at launch are Batman: Arkham City Armored Edition, New Super Mario Bros. U and Scribblenauts Unlimited. These games score 84, 82 and 78 respectively which is not that inspiring. One of the games that was often featured in Wii U trailer videos and promotions, Zombi U receives a disappointing 70/100 score. Here’s a well maintained list of Wii U games released and scheduled. The Wii U will be launched in Europe on 30th November, let’s hope that the firmware is already updated for buyers of the new console by then. ZombiU - Not surprising the overall score is low when Gamespot gave it 4.5/10, but when you read the review it quickly becomes obvious that the reviewer wanted it to be an FPS shooter rather than a survival horror game. Marking a game down because it isn't what you wanted it to be is a pretty dumb move, reflecting badly on the reviewer more than the game. I wish they would just integrate the PSU into the console. Sick of large external PSUs clogging up the rats nest near the TV. I like the dedicated WiFi hardware for the Miracast gamepad display. I.e., DDR3-1600. The real issue is the 12.8GB/s bandwidth. However there is meant to be quite a bit of eDRAM on the GPU so hopefully that isn't a big issue. Personally I think the hardware is just a little bit cut down than it should have been. The CPU die is miniature - surely room there for more cores or a large L3 cache to offset the low-bandwidth main memory. Still, ~30W when playing games is pretty good. It's incredible. Makes low-mid end desktop PCs look like dinosaurs.